What is an Employee Satisfaction Survey? Employee Satisfaction Survey is a powerful survey that Human Resource Managers can use to understand the level of satisfaction of the employees. 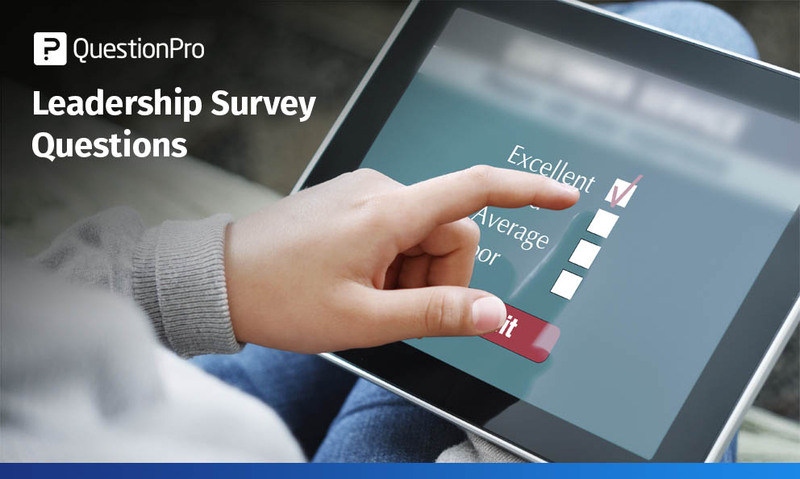 This survey provides management with a direction and a know-how of how satisfied are its employees in the workplace and what are the probable measures they would need to take if the responses to the survey are not quite positive. If you want to run and grow a business that is powered from within with a winning work culture, you can no longer just consider it to be simply a square where employees come, work and leave. In fact, all winning companies understand that a workplace is a living organism in which a “pulse” of its own. This “pulse”, is made out of the mood, morale, and motivation of all your employees. And the best way to measure, analyze and gain insight into this health of your organization is through the Employee Satisfaction Survey. 1. Is there a clear understanding of the strategic objectives of the organization? 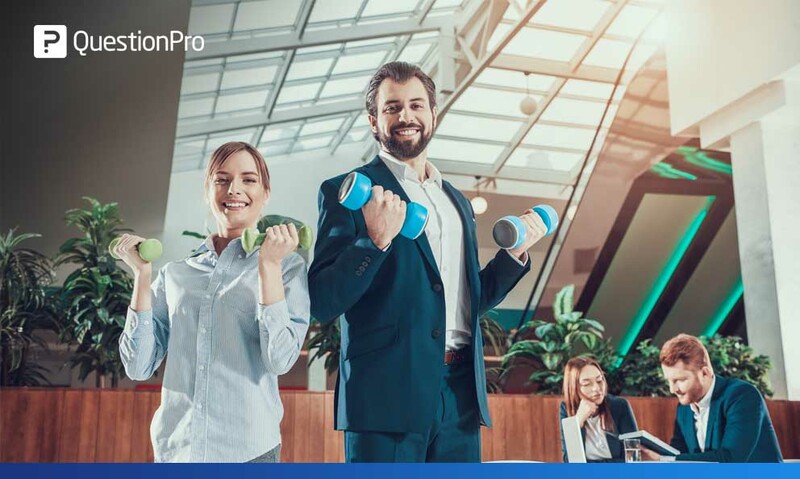 In research conducted by QuestionPro, 36% of employees said that better visibility of organizational goals would amplify their satisfaction and job performance. 2. 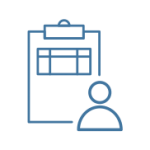 Is it clear to you what your role demands in meeting the company objectives? When employees have a sense of direction how they fit in the long-term broader company vision it does impact the job satisfaction positively. 3. Do you believe that there is an opportunity for individual career growth and development within the company? If the employee is directionless in terms of growth, eventually the employee will leave sooner or later. 4. Will you be working for the same organization in next 2 years? A satisfied employee acts as a word of mouth promotion tool for the organization, hence this question is of immense significance and if the answer to this question is no, it should ring alarm bells within the organization and call for immediate corrective measures. 5. Are you satisfied with your Job overall? This will give you an overall average overview of employee’s perception towards the organization. 6. Do you relish being a member of your team? 7. Is your team an inspiration for you to do your best at the job? 8. Does your team provide you support at work whenever needed? 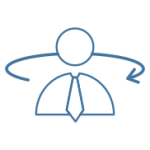 This part often goes unnoticed in organizations especially when the employee is a recent hire they depend highly on information. 9. Do you struggle to get information to make better decisions at work? 10. If something unusual comes up, do you know who to go for a solution? 11. Does the organization inform you about all the resources and tools to perform your duties well? 12. Do your seniors, managers encourage you to give your best effort? 13. Do you feel you are rewarded for your dedication and commitment towards the work? 14. Do you feel that your opinions are heard and valued by your superior? 15. Do you feel there is a scope for personal growth such as skill enhancement? 16. Do you experience personal growth such as upgrading your skills and learning other tasks apart from your regular to-dos? 17. Does the management involve you while taking leadership related decisions? 18. Do you think you are valued by your manager? 19. Do you think you go beyond your limits to fulfill a task? 20. Do you think your job makes a positive difference in other’s life? 21. Do you think you have had enough training to solve customer issues? 22. Do you think the management respects your personal family time? 23. Do you receive constructive feedback from your manager? 24. Does your manager praise you when you have done a good job? 25. Do you think the environment at work helps you strike the right balance between your work life and personal life? 26. Does your job cause an unreasonable amount of stress to you? 27. Do you think your manager understands a healthy balance between work life and personal life? 28. Do you think you manager treats all the team members equally? 29. Do you think the organization has fair policies for promotion for all employees? 30. Do you feel that the management is just towards administering policies concerning employees? Why should you conduct an Employee Satisfaction Survey? If you ask your staff how they’re doing face-to-face, they’re likely to say “just fine” and not much else. Ask them for ways to improve your business in person, and you’re unlikely to get a constructive response. But if you ask it in an employee satisfaction survey in an anonymous format, you’ll open yourself up to a world of insightful feedback. Employees tend to avoid confrontation, and surveys eliminate this factor. By using an employee satisfaction survey, you’ll allow your employee to speak freely about your company. While what they say may be hard to swallow, it’s to your benefit to receive honest feedback. Your employees will tell you how they really feel and can also offer new ideas to improve your business. Park your ego and encourage your staff to be brutal and honest. Let’s face it when you sit down for an employee performance evaluation but they’re often looking for only one thing: more money. Therefore, they’re highly unlikely to say much if they have a concern or complaint about your business. Using employee satisfaction surveys given out at times other than performance reviews is a way to get more actionable commentary. By allowing your employees to express themselves, you’ll reduce employee attrition in your company. 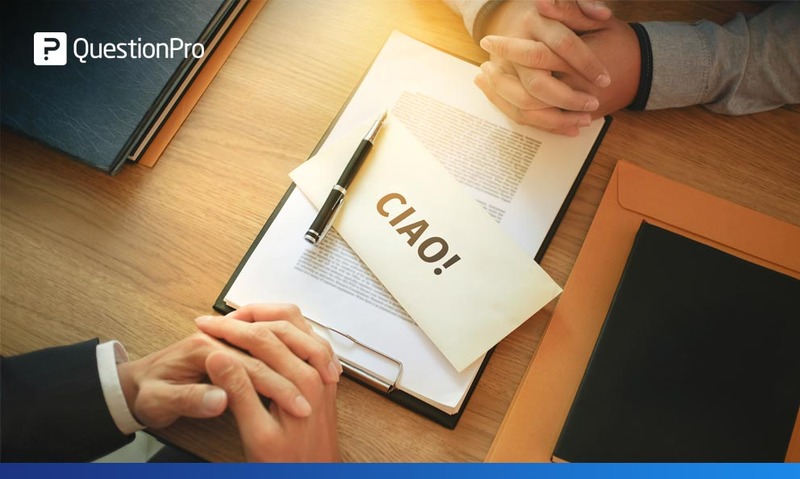 When you think of all the resources that go into hiring a new staff member – including paperwork, training, and the inevitable mistakes – you’ll understand that keeping turnover at a minimum is a key to success. If your staff understands that you truly care about them and value their feedback, they’re much more likely to be engaged in your company’s long-term goals, and will ultimately increase productivity. 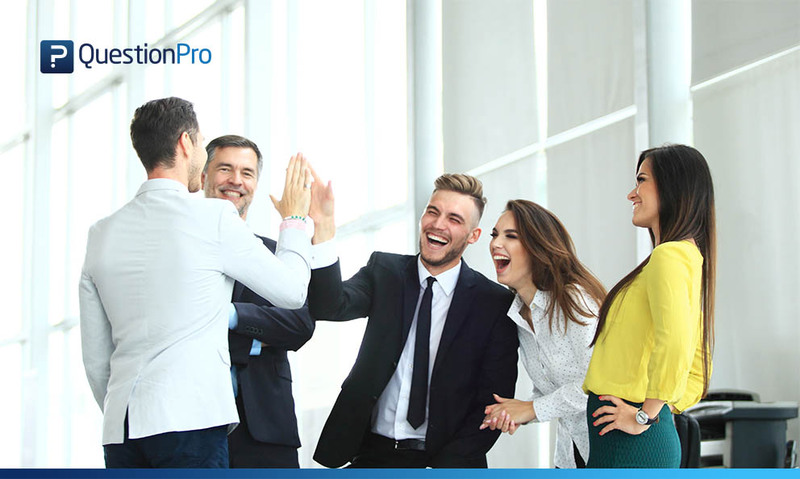 QuestionPro Workforce is the pioneering platform that allows organizations across the globe to create, send and analyze employee satisfaction surveys that enable insightful workforce intelligence. Standard Survey: Here you can create a typical employee satisfaction survey using standard and advanced question types, powerful survey logic and branching options. 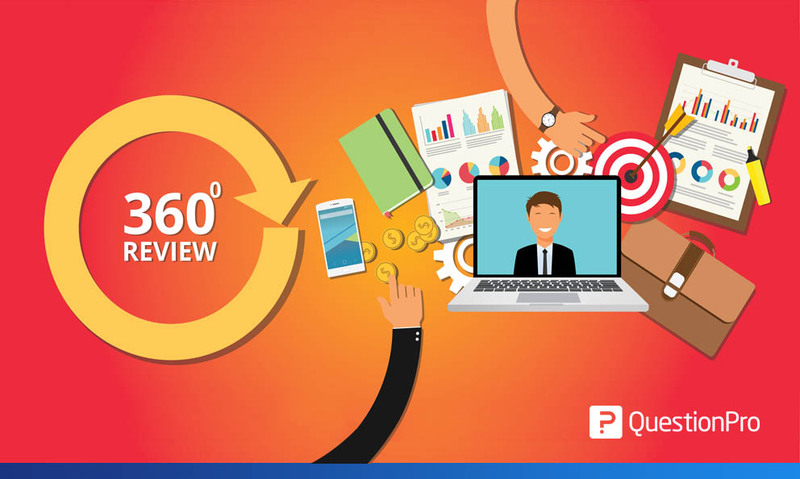 360 Review: This survey type enables you to conduct company-wide employee engagement surveys with specialized analytics. Pulse: A pulse question is simplistic and short, but powerful employee satisfaction survey that measures your employee mood and morale quickly with effective analytics. 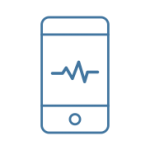 Powerful, lightweight and aesthetically appealing mobile app for your employees to answer Pulse surveys, provide feedback and share suggestions. It’s the ideal employee satisfaction survey app to keep a real-time track of your office mood and morale. 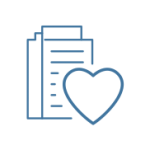 While you might feel your organization is doing well in terms of employee satisfaction, but how are you faring against other organizations in your business domain? 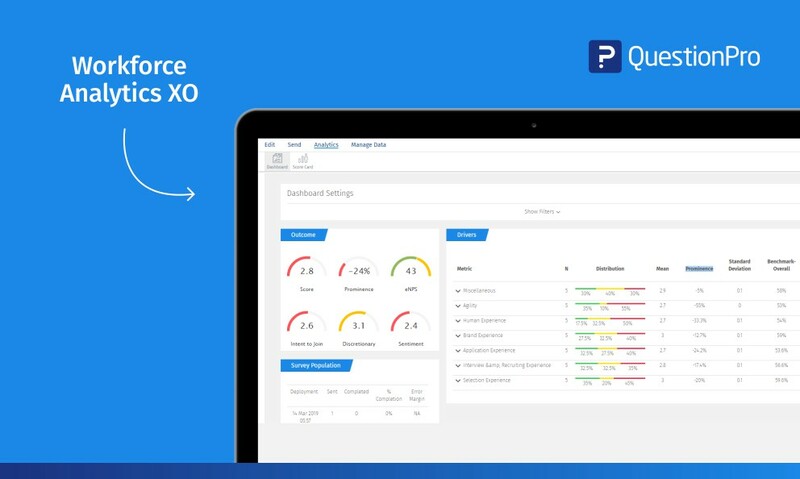 Now you don’t have to guess it, because Workforce lets you measure it! 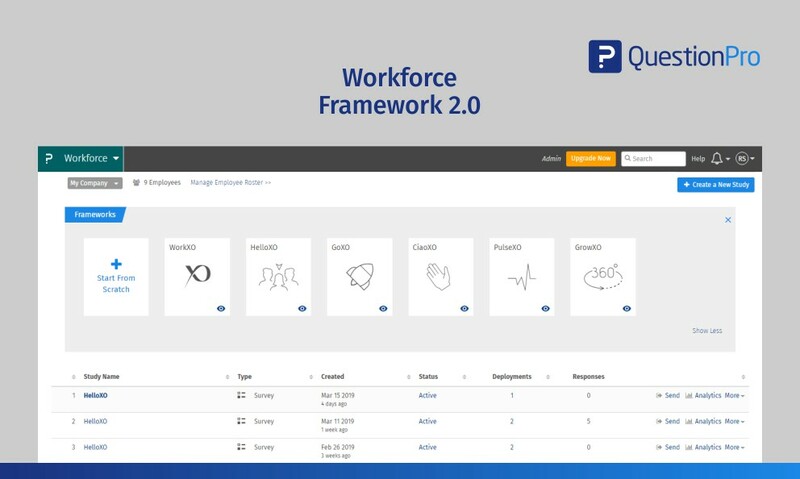 One of the most critical inventions of Workforce where you get a detailed view of an employee’s key strengths and weaknesses to improve on based on the employee satisfaction survey data. One of the most important evaluations for employers is to see how employees fare against each other at a team level. 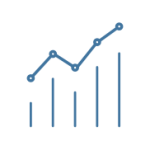 This is a critical analysis report by Workforce that helps organizations make important human resource decisions at the team management level. Leaders and team leads in a company are employees too and require special attention when it comes to evaluations of their strengths and weaknesses. The Workforce 360 Leadership Assessment report is a powerful employee satisfaction survey that gives leaders a critical insight into how they evaluate themselves VS their peers, on the same questions. Improving Employee satisfaction is the best investment a business can make. Satisfied Employees put their heart and soul into work, go the extra mile and get work done. So it’s high time that you work towards improving employee satisfaction and witness its positive impact on employee performance. Choose from our wide range of 50+FREE Employee Satisfaction Templates to improve your employee engagement.